Earlier in the year, slightly terrified at how fast I'm racing through my 30s, I created my 40 Before 40 List, an epic bucket list of all the things I want to do before I hit 40. 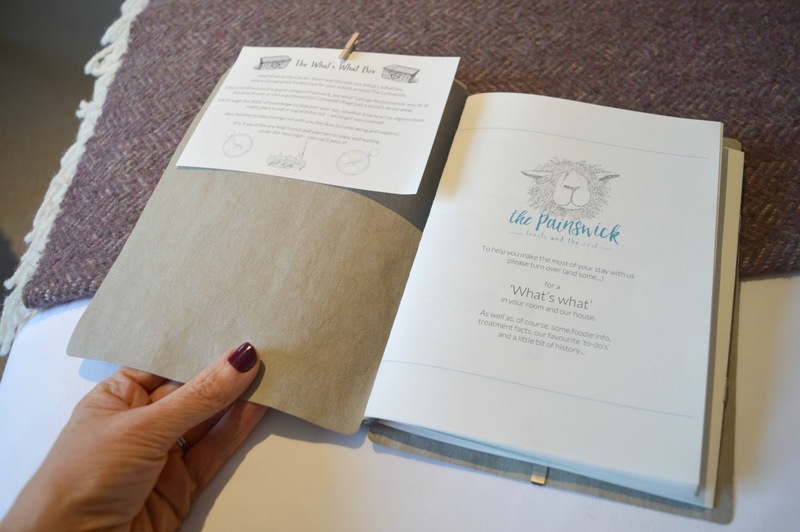 Number 22 was "Visit the Cotwolds" and this week that dream came true with an idyllic stay at The Painswick. 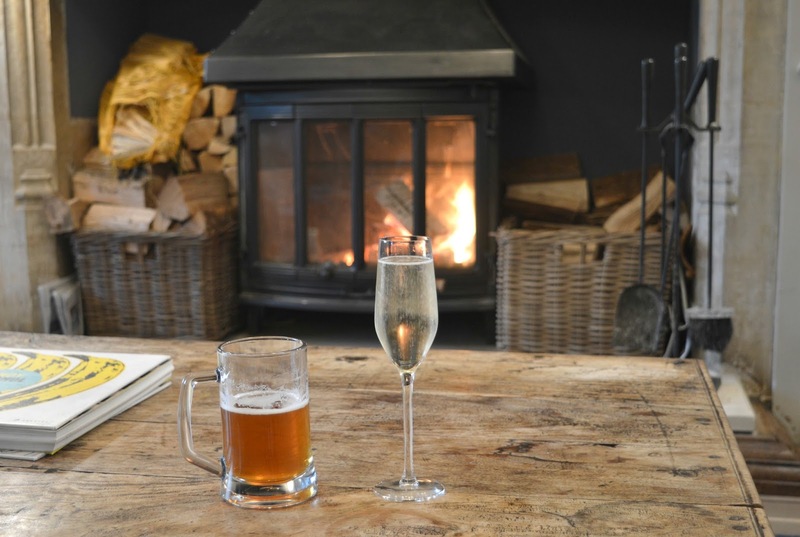 When dreaming about my perfect weekend in the Costwolds I imagined staying somewhere cosy and beautiful, a home away from home, somewhere to truly relax. So I was over the moon when I discovered The Painswick, a sixteen bedroom hideaway and winner of the Sunday Times Ultimate Hotel of the Year. 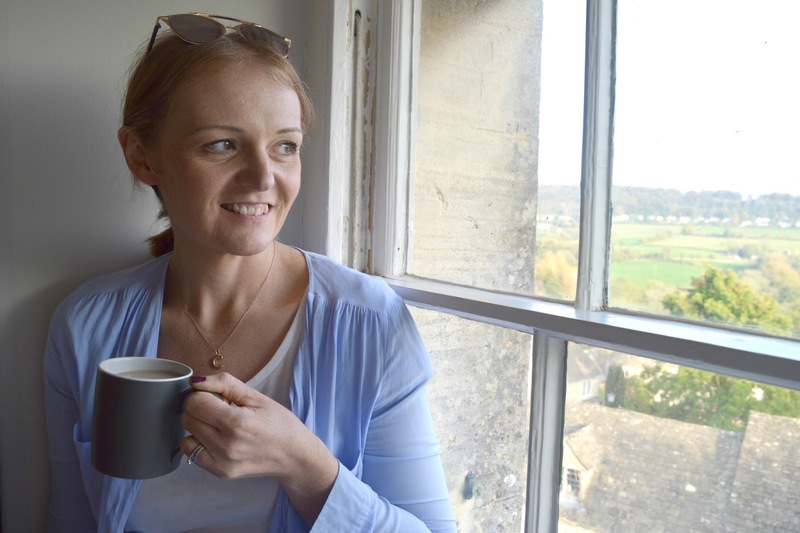 The search was over, this was going to be the cosy Cotswolds break that I'd dreamt of. The Painswick is snuggled away in the picture perfect village of Painswick in the Gloucestershire countryside - perfectly positioned for exploring the most beautiful villages in England, nearby Gloucester and Cheltenham or indulging in the ultimate shopping trip at Bicester Village. It is a dream location if the Cotswolds are on your bucket list. Our drive to The Painswick was a good 4-5 hours from our home in Newcastle so when we arrived we were more than ready to throw down our luggage and relax. Welcomed in to the warm reception we were immediately asked if we'd like our bags taken to our room and given the grand tour of the beautiful hotel. After a tiring journey we loved having such a personal welcome and we instantly felt at home. 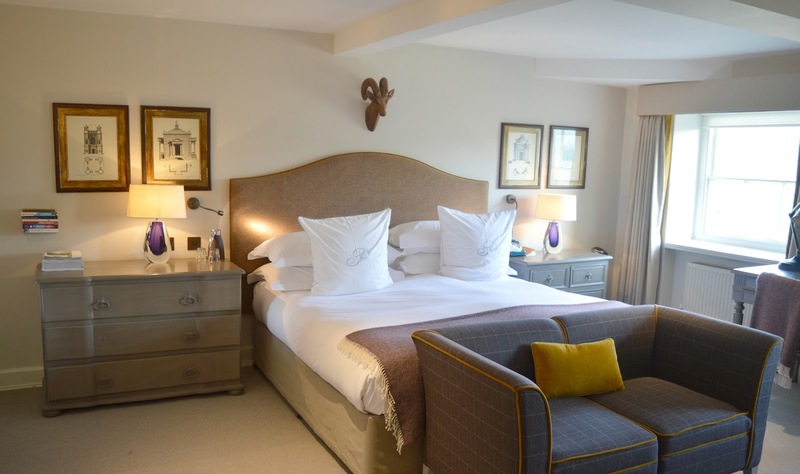 Our room for our two night stay was the gorgeous Toadsmoor, one of The Painswick's bigger rooms complete with some beautiful luxurious touches including a bed so huge I lost my husband for the entire night (secretly very happy about that! ), a roll top bath and a really big shower. 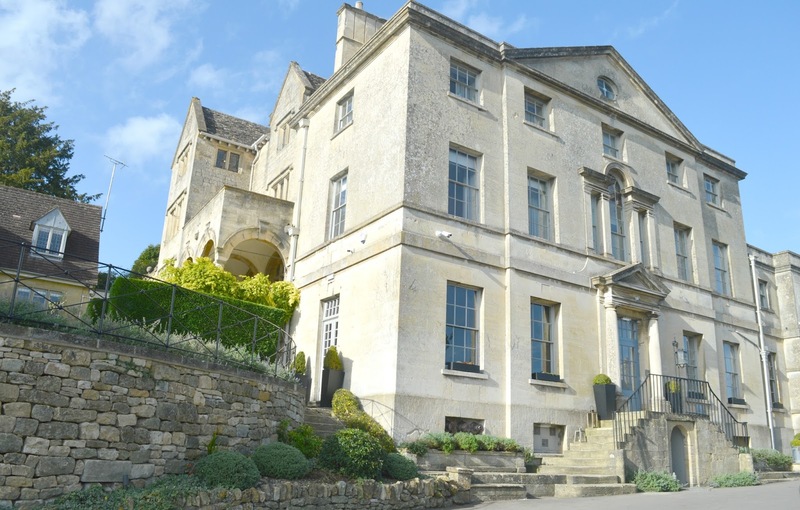 There's a great range of room sizes at the Painswick and if you want to indulge in something even fancier then George's Suite is the ultimate treat and boasts a four poster bed, sitting room, log burner and a private balcony. If you prefer the simpler things in life then the Small, Medium and Big rooms offer beautiful country hideaways to suit every budget. If you fancy a look at the other rooms available head this way, I've spent far more time than I'd like to admit swooning over the photographs of George's Suite. Important things first, we immediately stuck on the kettle and raided the wonderful little treats that had been left in our room. Chef had been busy creating some delicious goodies and we were thrilled to discover a little dish of madeleines that we woolfed down as well as a jar of very indulgent chocolate cookies that were the gooiest we'd ever had and so good that I couldn't stop Simon going on about them for the rest of our trip. Not being terribly good at switching off I was over excited by all of the relaxing on offer at The Painswick and struggled to decide what to do first. Take a lovely long soak in our ensuite bathroom (the clawfoot bath was something of a dream and made our tub at home look very boring! ), put my feet up and work my way through the pile of glossy magazines left in our room, take a snooze in the delicious looking bed or treat ourselves to a massage at the hotel's treatment room? We eventually decided to make our way downstairs to the little bar in search of a cocktail or two, after battling motorways a drink is always needed! Blessed with a beautiful warm October evening we took our drinks out on the terrace and enjoyed the last of the light as we admired the beautiful countryside views. We both agreed that it felt a little like we were on holiday in the Med and I can only imagine what a beautiful sun trap The Painswick must be in the height of Summer. With drinks finished we decided to move ourselves to the games room for an enthusiastic game of pool. Having not played since my teenage years, I'd forgotten how useless I am but we had a great time laughing at each others attempts to get the correct balls into the pockets and I was happy to discover that, despite winning, Simon really wasn't much better than me! We followed this with a look through the board games on offer and decided to play Catch Phrase which, if I'm honest, got a little too competitive. Neither of us could remember the last time we'd enjoyed a Sunday evening playing a board game and it was the perfect way to unwind. Having tired ourselves out with all the laughing we moved our evening to the lounge where some of the other guests were enjoying glasses of wine on the most comfortable looking sofas. Deciding to join them we ordered some drinks and managed to nab ourselves a prime spot by the fire. It was so lovely and warm and it took all my self control not to lie down on the huge sofa and have a little nap. We lost hours relaxing by the fire and before we knew it we were handed menus to make our dinner choices. I love being given a menu a little while before being shown to our table - we are people who struggle to make decisions so it's great being able to take the time to have a proper read through the options. Although you can see a sample dinner menu on The Painswick website it changes regularly with chef Jamie McCallum creating perfect fresh and and punchy dishes to suit every occassion. Once we'd placed our orders we were shown to our table ready for our 8:00 pm booking. The restaurant was busy despite it being pretty late on a Sunday evening and there was a lovely atmosphere with a nearby table celebrating a birthday and other couples enjoying romantic meals. We'd decided against having a starter but when the chef sent over a crab salad we couldn't resist tucking in. 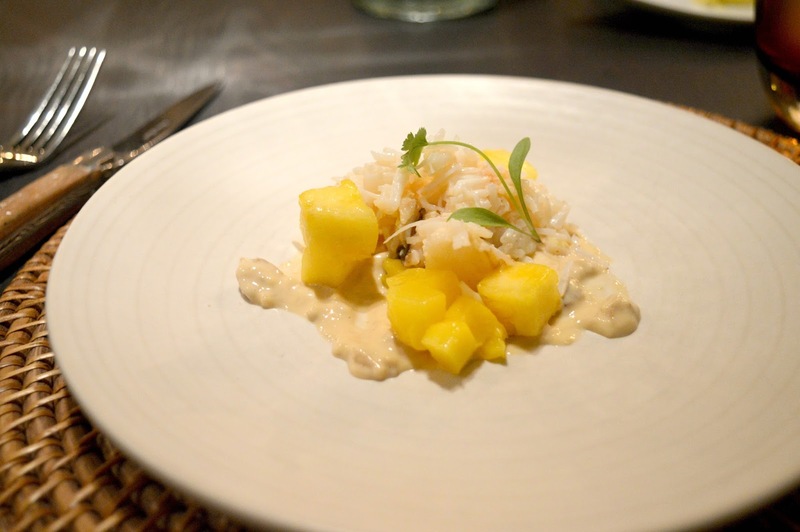 It was really light and fresh and the mango paired with the crab was spot on - the perfect start to our meal. 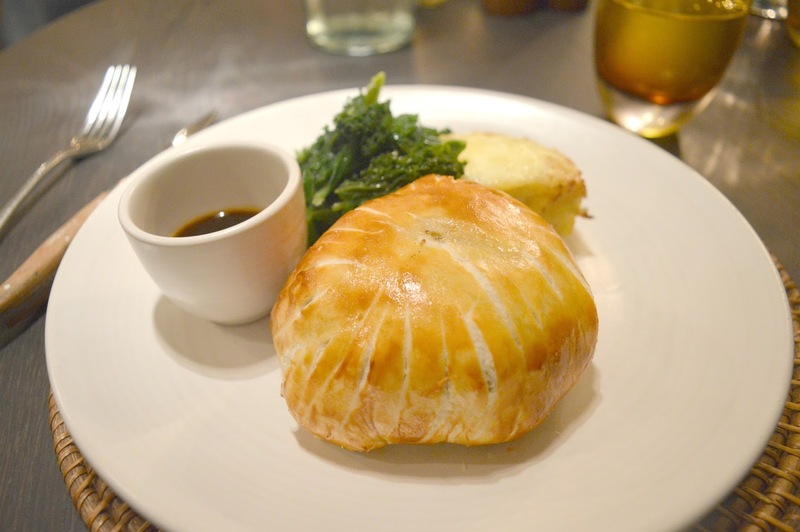 We both decided to order the same for main course with the Beef Wellington served with Dauphinoise potato and buttered greens (£28.00) catching our eye. Served with a perfect pink centre, the beef was so tender and the pastry was so buttery - it was heavenly! Despite being pretty full by this point we couldn't resist ordering a dessert and I decided on the Salted Dark Chocolate Cremeux with blackberry sorbet (8.00). 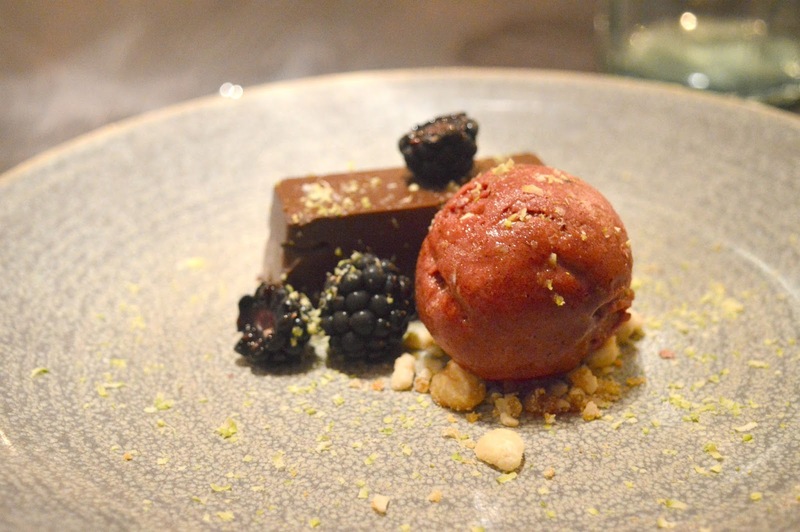 It was so naughty and rich and I loved the contrast of the chocolate with the salt and sorbet. We went to bed with very happy and full tummies! 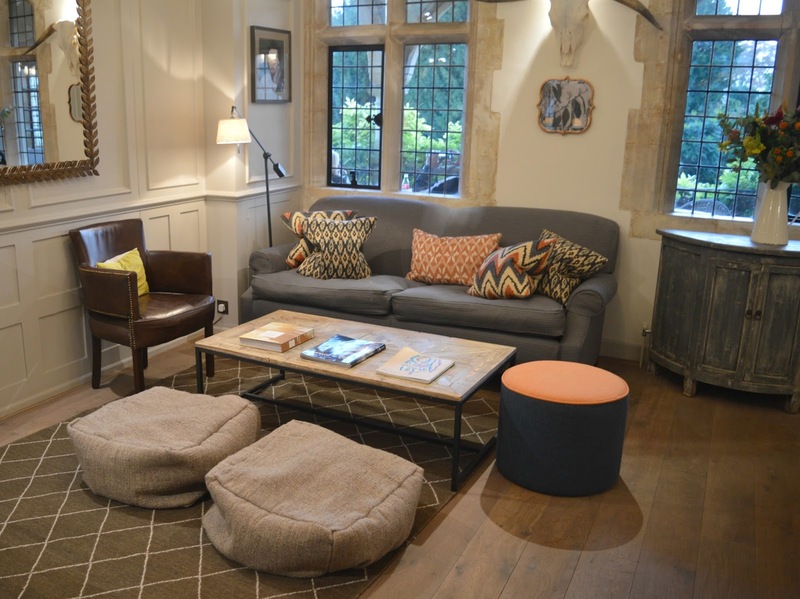 The Painswick is the perfect base for exploring the Cotswolds and when we were planning our activities we were really spoilt for choice. 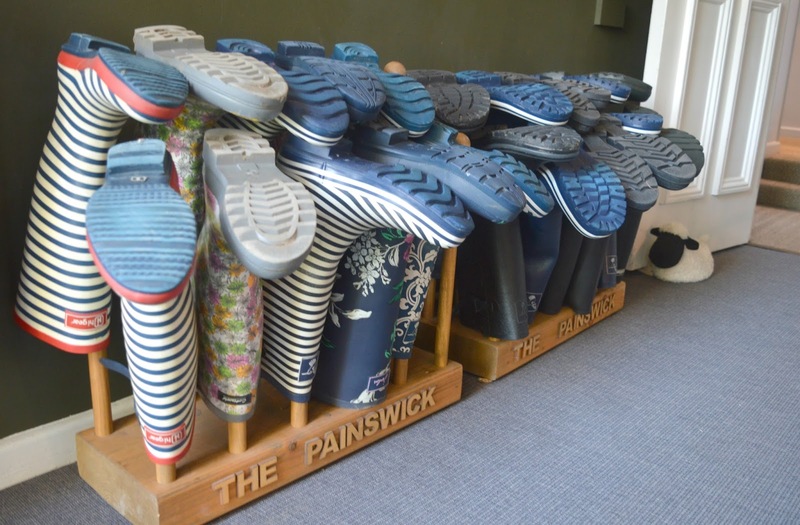 If walking is your passion The Painswick is a great place to stay and they have a full range of walks to choose from offering a variety of distances over all kinds of beautiful countryside. Each walk is helpfully printed ready for you to take out with you, unfortunately we didn't have the time on our trip to go for any walks but it's definitely something I'd love to do in the future. If, like us, you just fancy a little potter the lovely staff at The Painswick can give you lots of recommendations of places in the local area to discover and if the weather isn't looking too great and you've forgotten your sensible outdoor gear they also have loads of rain macs, wellies boots and huge umbrellas to borrow, such a wonderful little touch. With plenty of towns to explore, historic houses to discover, food markets to enjoy and gardens to admire - there's loads of adventure on the doorstep. Prefer a more relaxing day? 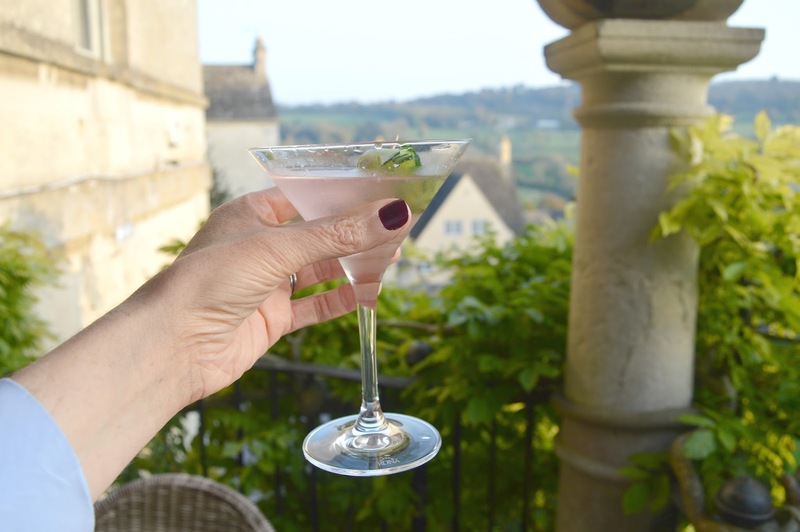 The Painswick just happens to be in one of the prettiest little villages in the Cotswolds with some stunning views and honey coloured houses to admire so I recommend a little walk just outside the front door to stretch your legs before returning to the hotel for an afternoon of indulgence. The Painswick has two treatment rooms by Calcot Spa offering a variety of treatments including massages, facials, manicures and pedicures or you could maybe indulge in Chef's Afternoon Tea served from 3:00 pm until 5:00 pm on weekdays and from 3:30 pm to 5:00 pm on Saturdays. 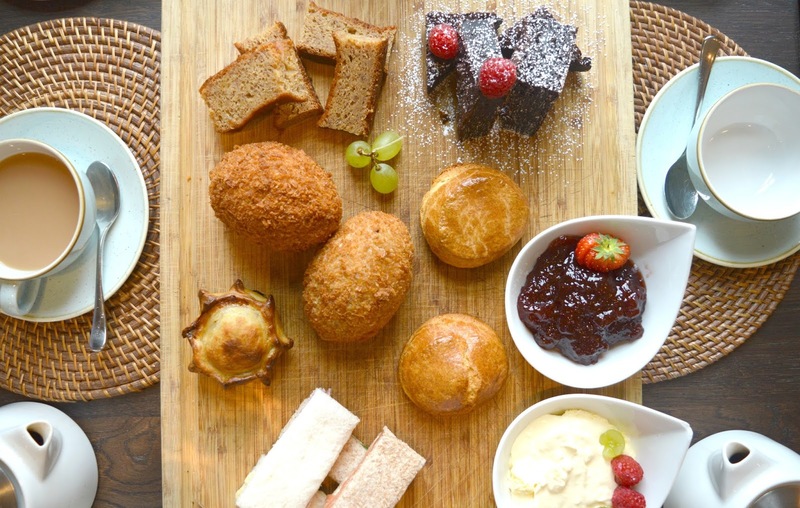 You can read more about our afternoon tea at The Painswick on the blog next week! 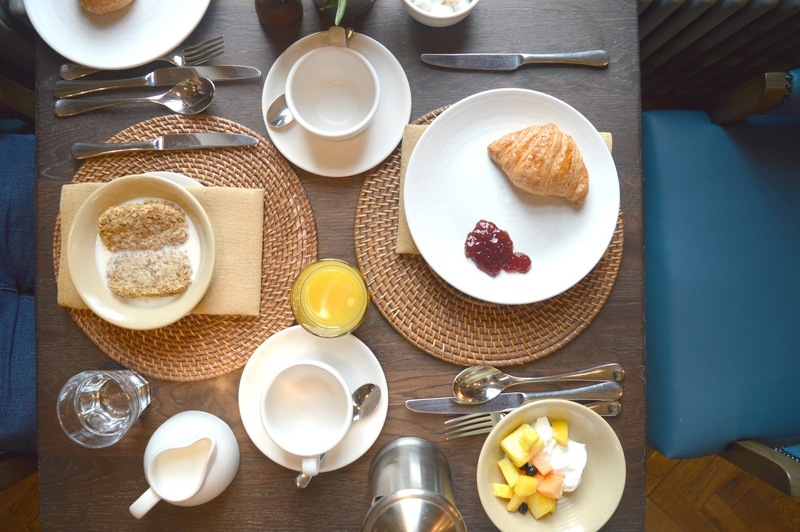 Breakfast at The Painswick is served in the restaurant between 7:00 am and 10:00 am on week days and until 10:30 am on weekends (with the added option of breakfast in bed if you fancy it!) 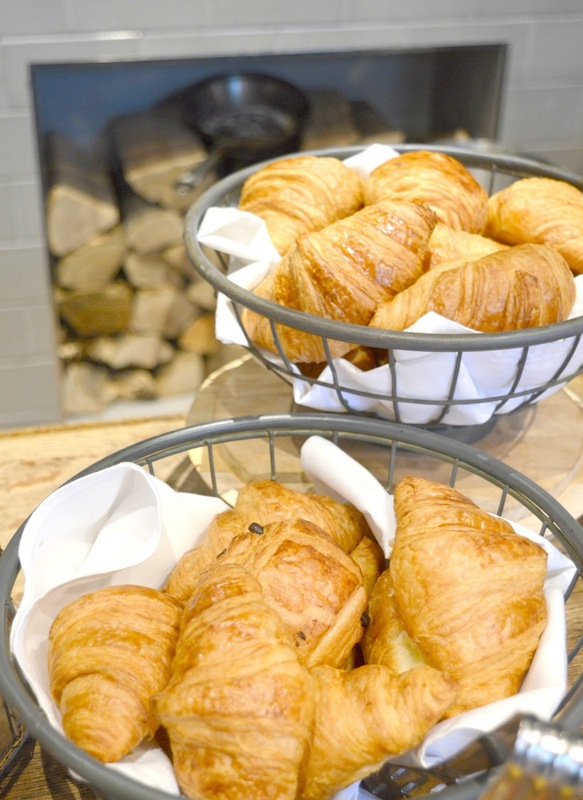 a fully indulgent affair with everything you could possibly desire ready for you to create your perfect breakfast. Breakfast was included in our room rate but for those with a room only rate the Painswick Continental is £6.00 per person and allows you to feast from the buffet table with plenty to choose from including Greek Yoghurt, fresh fruit, pastries, mixed charcuterie and cheese, cereals, fresh bread, toast with jams and Rice milk Bircher muesli. As we were staying for two nights I decided to have continental one morning and save myself for a fully loaded breakfast on our last morning. Simon thought about that plan for all of two seconds before ordering himself a sausage sandwich on both days! Day one and any thought that I was being sensible by just having continental flew out of the window when I managed to cover our entire table in food. With so much to choose from it was impossible not to go overboard and I enjoyed delicious Greek Yoghurt with pineapple followed by Weetabix splashed with ice cold milk and then a couple of croissants with plenty of jam. 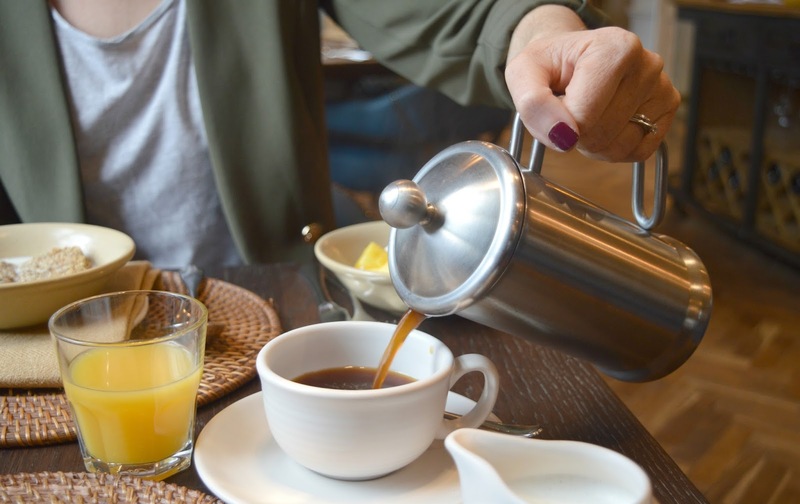 Hot drinks are included with your breakfast and we ordered an all important cafetiere of coffee, the perfect way to wake us up ready for a day's adventuring. What did I have my second morning? Full English (£12.00) of course! 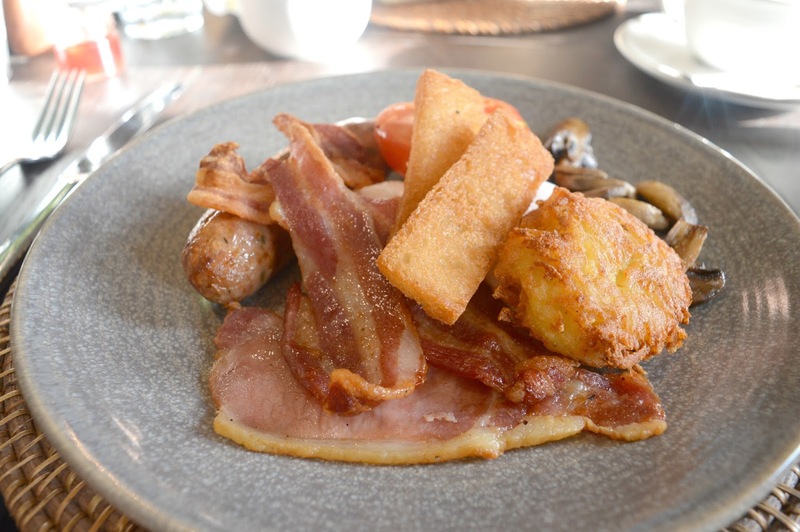 Served with eggs any style, crispy bacon, sausage, tomato, mushrooms, black pudding, hash brown and fried bread. My plate came fully loaded and having been unable to resist some yoghurt and toast before it I unfortunately couldn't quite finish off the whole thing and was still feeling full come evening time! Check out at The Painswick was 11:00 am, allowing us more than enough time to get ready at a lovely leisurely pace. It took us a while to say our goodbyes, as we'd made great friends with a couple of the staff and wanted to give everyone who'd been so kind to us a proper farewell. When a hotel leaves you feeling like you've made friends it's pretty special and when we promised each person we'd definitely return we meant every word. As we gathered up our luggage we were given a little goodie bag for the journey home - a couple of bottles of water for the car, a discount voucher off our next stay and a shopping voucher for Bicester Village, a simple touch but something that we truly appreciated. 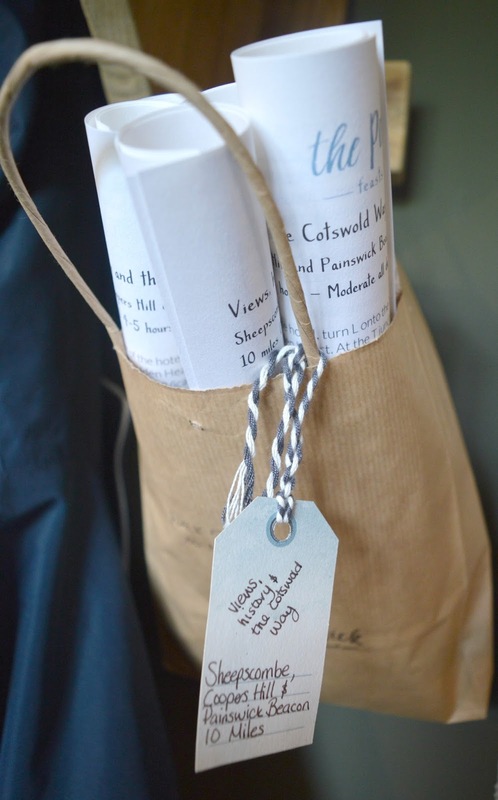 It's the little extras like this that truly sets The Painswick apart from other hotels. Call me an idiot, I don't care, but as we pulled away from The Painswick to head back home my eyes were suddenly threatening to fill with tears. Saying goodbye was hard and I really didn't want to return to reality after such a wonderful break. 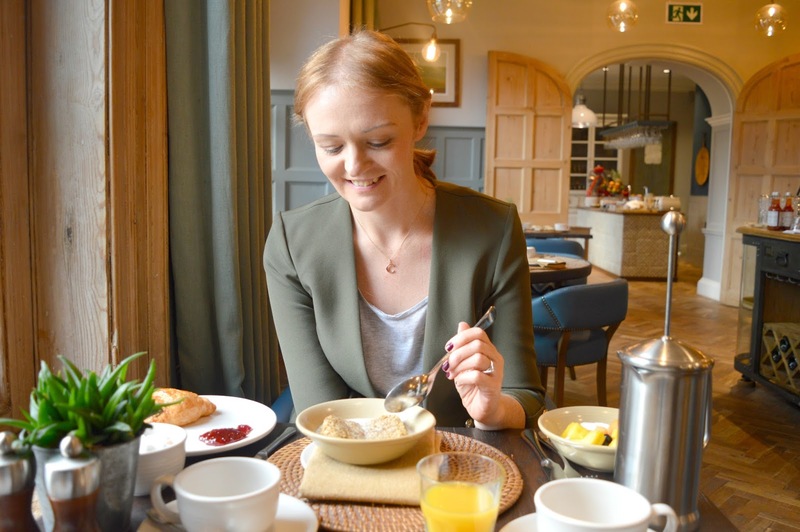 We've been lucky that this blog has given us the opportunity to stay in some of the most amazing places but The Painswick really was something very special. 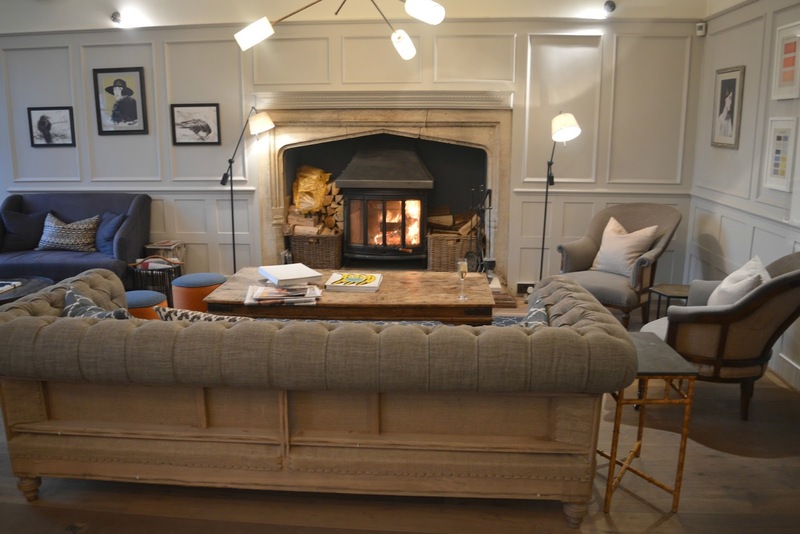 Finding a hotel that strikes the perfect balance of comfort, luxury and warm friendliness is so hard which makes The Painswick such a great discovery. We left a huge piece of our heart behind and we can't wait to return! Rooms are available from £129.00 per night and can be booked via the website or telephone. 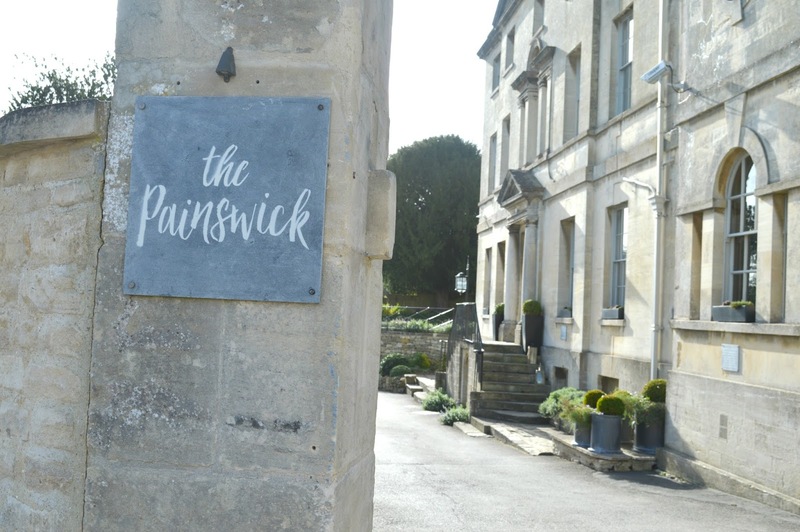 We were very lucky ducks and were invited to do an honest review of The Painswick - we received a complimentary night stay with dinner and breakfast and a press rate on our second night. All drinks and afternoon tea were booked on a whim during our stay and paid for with our own money. All love is very much our own - we are smitten! 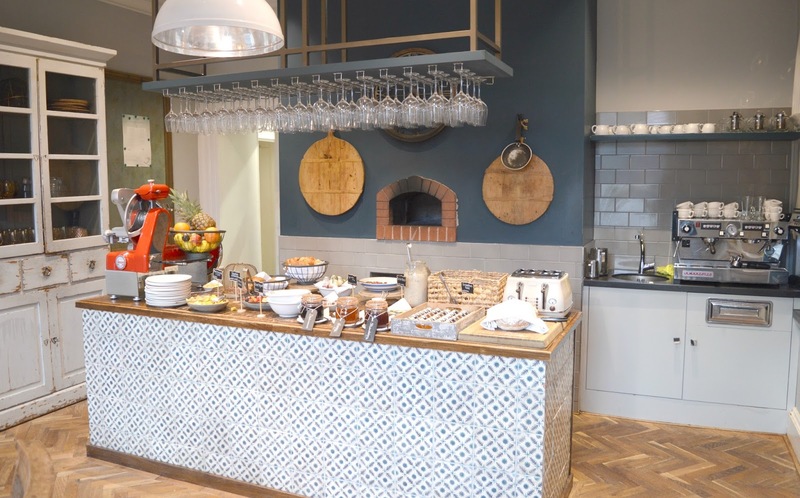 Wow, Chloe the Painswick looks like a lovely lovely hotel. Can't wait to read more. What a lovely review too. I think I just fell in love with this place a little bit! Definitely a place I'm going to have to visit. I was born in The Cotswolds but left when I was 7 and I've been dreaming of going back for so long, and it looks like I've found the perfect place to go! I love their little touches such as the cookies, madeleines and the wellies - how thoughtful of them! What an absolutely gorgeous hotel, I can imagine it was hard to leave! Also your photography is looking pretty special!